Skydiving is a weather-dependent activity. Western Norwegian weather can be unpredictable and can change in a relatively short period of time. Rain, high winds and turbulence can create unfavorable conditions for skydiving. The safety restrictions for tandem skydiving are strict. There must be a vertical visibility of at least 2000 meters. The maximum wind limit on the ground is nine meters per second. We ask customers to understand that while it is disappointing to have your skydive postponed due to weather conditions, we must put safety first. In the event of unfavorable weather conditions skydives will be re-booked to another time or day which suits you. 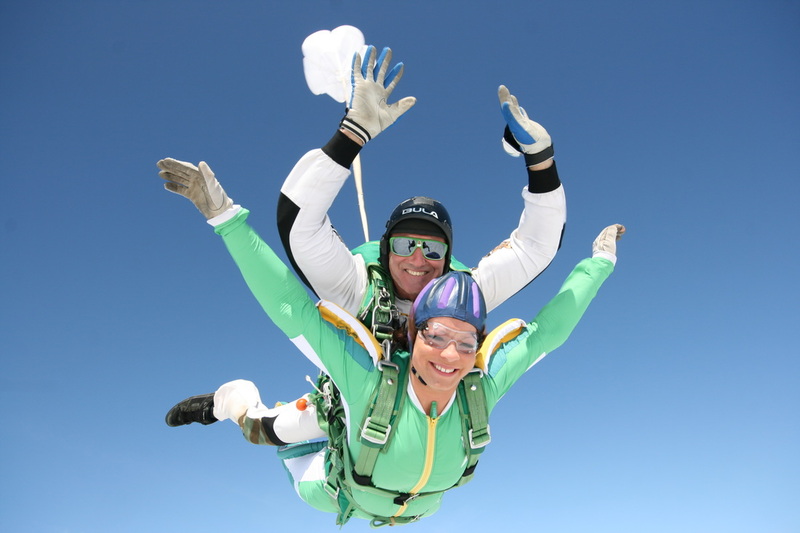 You will get a customized jumpsuit, skydiving harness, gloves, helmet and goggles to wear for your skydive. We recommend that you wear loose, casual clothing that is not restrictive; something that you would normally wear for light exercise. A layer of wool is a good idea on colder days. Footwear such as sneakers are the most appropriate. • Check in at the reception at your allocated time. Here you will complete all necessary paperwork. Call us if you are running late. • Present gift card upon check in. • 16 to 17 year olds must have a parent/legal guardian present to sign required paperwork, and written permission from both parents/legal guardians. • Over 70's must have doctors permission at check in. • Upgrade to a stills photo package is highly recommended! • What to do in freefall, under canopy and on landing. The flight up to the altitude from where you exit the aircraft takes about 15.-20.minutes, and is normally about 12 500` / 4000 meters above ground. You exit the aircraft for a freefall time of up to 45 seconds; falling at 200 km/h. Smile, wave, scream at the camera and enjoy the ride. The canopy ride takes about 5-7 minutes – maybe you will get to steer the canopy for yourself until your instructor brings you in to land. 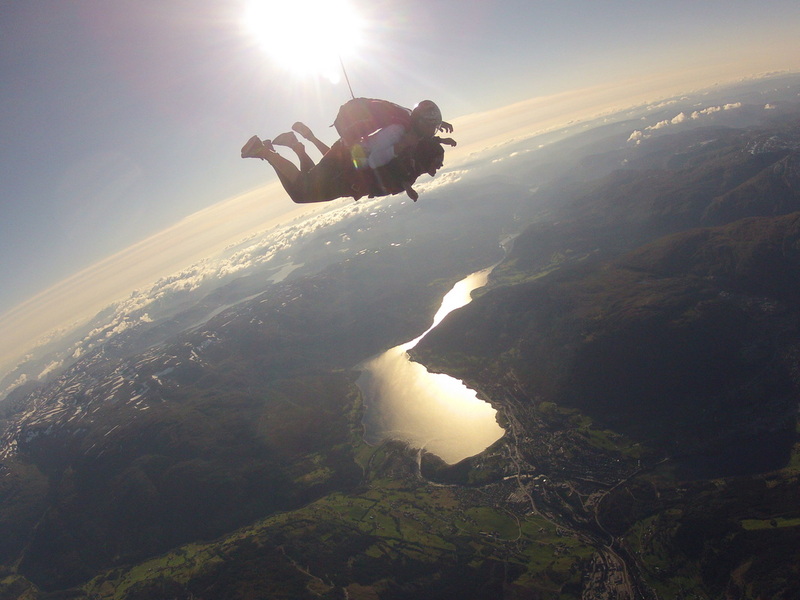 Don't forget to take in the beautiful views from the aircraft, during freefall and under canopy. If you visit on a weekday, it will normally take no longer than 1.5-2 hours from arrival until landing, if the weather is good. During weekends, it can be up to a half-day activity as the drop zone is running at its busiest, and the schedule is more sensitive to weather delays. We have a café on site which serves breakfast, lunch and dinner. You can also bring your own food, and feel free to use the barbeques located around the drop zone.